India. The Delhi-based celebrity chef isA�all geared up for the latest season andA�promises it will be better than ever.A�He talks travelling, pickles andA�friendship. 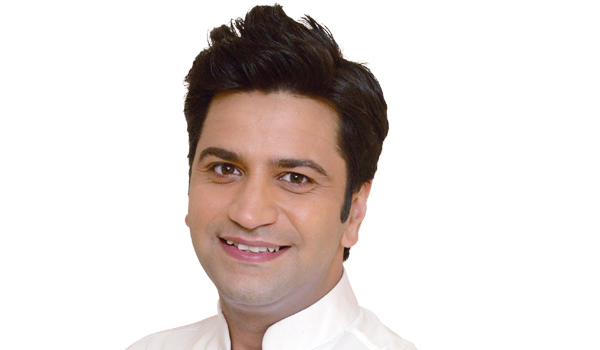 Youa��re back on Masterchef India. Yes. I missed the last season as I was travelling and shooting in the US for my other shows. I didna��t want to commit to two things and not be able to give my hundred per cent to Masterchef. But this year it is all very clear. Ia��m ready and fully prepared for being a judge. What does this season look like? Very interesting, Ia��d say. A lot of healthy competition. There are a lot of great dishes. The heroes of the show are not the judges or even the contestants. This season, the hero is the food. There will be no excess drama, only nail biting, nervewracking action as the challenges have to be completed. Do you see Masterchef Australia as competition? I enjoy both formats and shows a lot. Both are equally popular and loved. But we are going to beat Australia this time around, for sure. We are back and much bigger. What is it working with the other judges? It is great working with Zorawar Kalra and Vikas Khanna. I have a great relationship with Vikas; we are really good friends off-screen as well. Zorawar and I go back a long way; we met about 18 years ago. His father, Jiggs Kalra, whom I respect a lot, called me the next big thing at the start of my career and that was a big boost. I have my show on NDTV Goodtimes, My Yellow Table, which is all about cooking and new recipes. Apart from that, I am also hosting the second season of Pickle Nation, where I travel around the world discovering everything about pickles. Travel show vs being a judge on Masterchef.